The reggae star arrived in Trinidad and Tobago yesterday for his “I Am Legend” concert at the Queen’s Park Savannah, Port of Spain set for this Sunday. 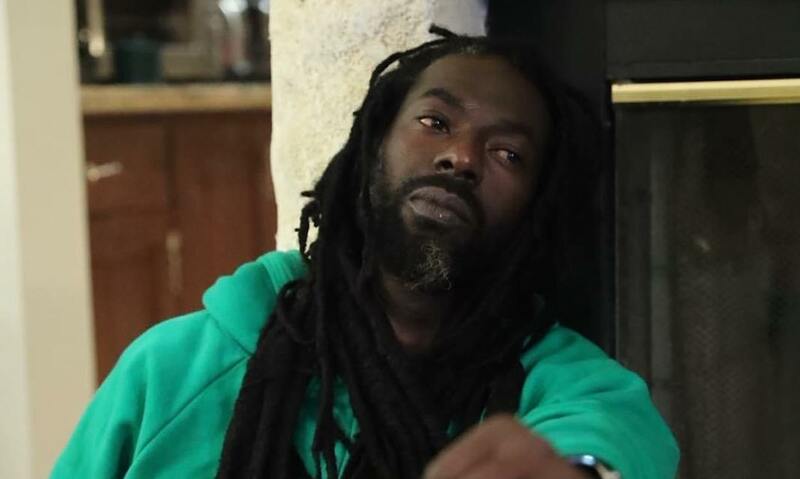 Sources told Urban Islandz that at around noon, a group of police officers converged on Buju Banton hotel room saying that they got a search warrant. We’re told that the singer did not object and allow them to do what they came to do. A rep for the singer told us that even though he was annoyed by the situation, he was not deterred. 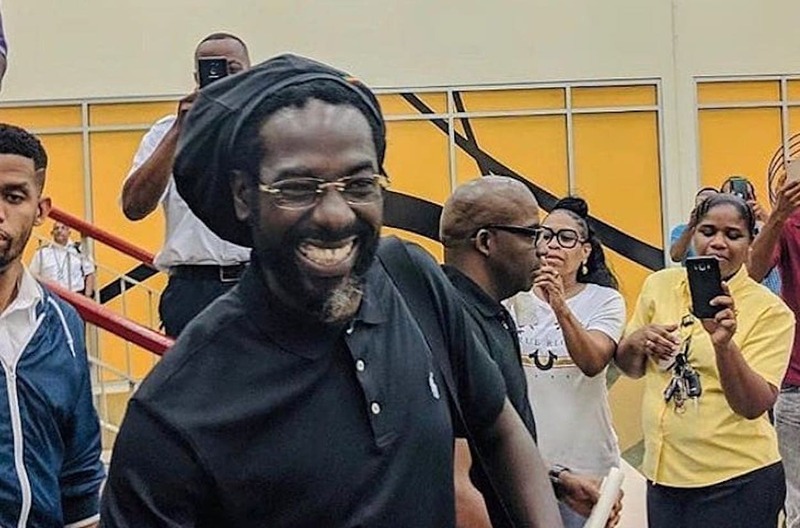 Buju Banton posted a video on Instagram on Saturday telling his fans that a group of police officers turned up to his hotel room saying that got a search warrant to search the room. Buju Banton is adamant that he will perform for his fans tomorrow in what is shaping of to be one of the biggest concerts in Trinidad this year. “I still got love for you, Trinidad, they can’t distract us that’s why we’re here… for you not them, peace,” he said at the end of the clip. Sources told Urban Islandz that cops came up empty-handed and left the hotel room. Buju Banton has already spoken to his attorney about what went down. The Gargamel teams up with two of his talented sons, Markus and Jahazeil, for the first official single since his release from prison. 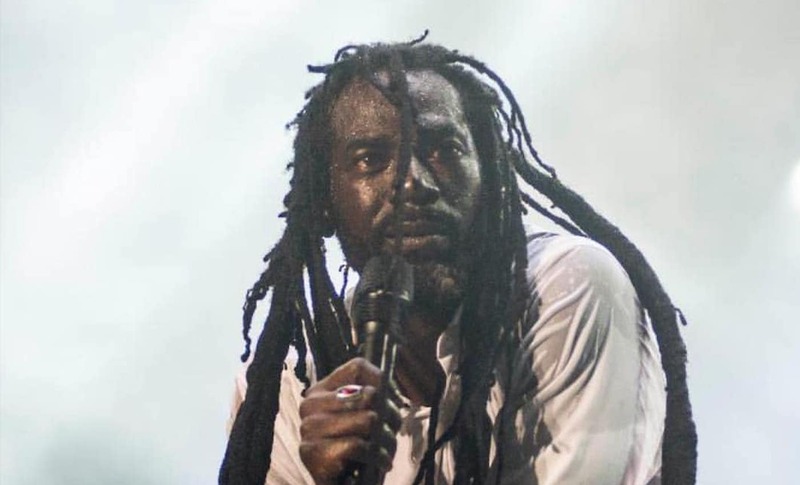 A lot has been going on inside Buju Banton‘s camp following a fight with his son Markus Myrie, just days before the inaugural concert for his “Long Walk To Freedom Tour.” The show was a massive success and has been hailed as one of the best live concerts in Jamaica in decades. More than 30,000 fans converged on the National Stadium in Kingston to see the Grammy-winning reggae singer and friends performed. 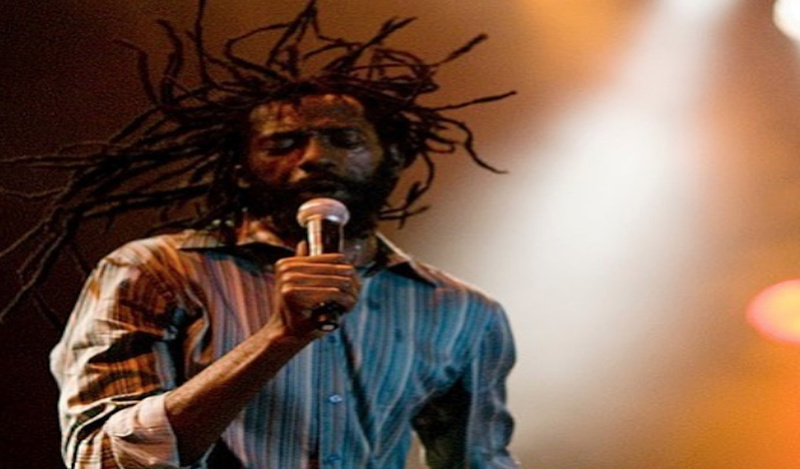 Buju Banton has been hitting the studio all while he prepared for his extended tour of the Caribbean and Europe. From the sound of it, the Gargamel still got it. “False Pretense” was produced by Markus, who previewed the track on Instagram last week. “This song came about from a conversation, it created a vibe, and the vibe created the music. False Pretense is about an ongoing “norm” for Jamaica’s political atmosphere that has over the years continued to spill over on the citizens of the country,” Markus said. “False Pretense” is currently available on all major streaming platforms including iTunes, Spotify, and YouTube. You can listen to the track below and leave your feedback.